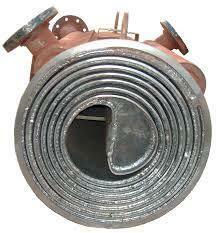 We manufacture and supply Spiral Heat Exchanger at affordable pricing options. These find use in heating chambers, gas ducts and other industrial processes involving hot air. These are made using high-quality steel and are resistant to corrosion. They are available in finned covers for better air-transmission.